Smau Napoli 2018 ended for eProInn with the victory of the SMAU award, reserved for the best startup of the Campania Region in collaboration with GTEC. The company will be hosted for a week at the German Innovation Hub in Berlin. On 17 and 18 August 2018 Eng. Matteo Marino and the Doc. Davide Emanuele Zinna were spokesperson for eProInn at Festambiente, an event organized by Legambiente at the Parco della Maremma di Rispescia (GR) The event, now in its thirtieth edition, has always been a container for the promotion and dissemination of all those realities and initiatives that make the primary objective of protecting the environment and the ecosystem. Read the full article here. On July 17, 2018 at the Centro Velico Avigliana was held a special stage of the Tesla Destination Tour with special guest The solar boat of the TU Delft Solar boat team. An event in the name of sustainability and solar energy, with two projects on display made by the Turin Solbian who has dealt with the photovoltaic coverage of the Dutch hydrofoil and the solar roof of the trailer street food F-trailer. The partners of LIFE-SAVE project are developing increasing technical and scientific cooperation with China on sustainable mobility issues. Professor Gianfranco Rizzo, from eProInn, have presented a study about thermal effects on photovoltaic panels for automotive applications at the AVEC Symposium, held in Beijing, July 16-20, 2018. From 13 to 15 June, the LIFE-SAVE project was presented at the fourth edition of SMAU “Italy Restartsup in Berlin”, an event dedicated to innovation in Italy from 1964. On June 14, Professor Gianfranco Rizzo, CEO of eProInn and Eng. Matteo Marino were among the rapporteurs of the Workshop “Smart City: The driver for development of territories and companies”, together with a selected number of Italian startups. The SAE of Torino, in collaboration with the ANFIA (National Association of Automotive Industry) and the ATA (Automobile Technical Association), has promoted a conference on CO2 reduction Technologies for sustainable transport systems, both i terms of improving the efficiency of the thruster group than in terms of reducing the energy demand of the vehicles. The LIFE-SAVE project has been presented to an audience composed of both companies and research groups from all over the world. LIFE-SAVE projects starts on 09/01/2017. Its aim is to develop a prototype technology called HySolarKit. The HySolarKit Staff joins the ECO PIANA Festival in Cittanova. The article “Upgrading conventional cars to solar hybrid vehicles”, by G.Rizzo, M.Naddeo e C.Pisanti, is published on the International Journal of Powertrains di Inderscience. The Executive Agency for Small and Medium-sized Enterprises (EASME) of the European Community declares that Solar Aided Vehicle Electrification – LIFE16 ENV/IT/000442 will be financed. The Project has been developed by a partnership including Landi Renzo, eProInn and Solbian, and supported by CiaoTech. Project “719993 – HySolarKit Converting conventional cars into hybrid and solar vehicles” riceives the “Seal of Excellence” by the European Commission with the following motivation: “WAS SUCCESSFUL IN A HIGHLY COMPETITIVE EVALUATION PROCESS* AS AN INNOVATIVE PROJECT PROPOSAL”. Associated press produces a video about HySolarKit called “ITA SOLAR CAR – Converting two wheel drive fuel cars into four wheel drive hybrids”. This video has been distributed by EuroNews in eleven languages and stood in the world top ten (1-7 Feb) of the video produced by AP. 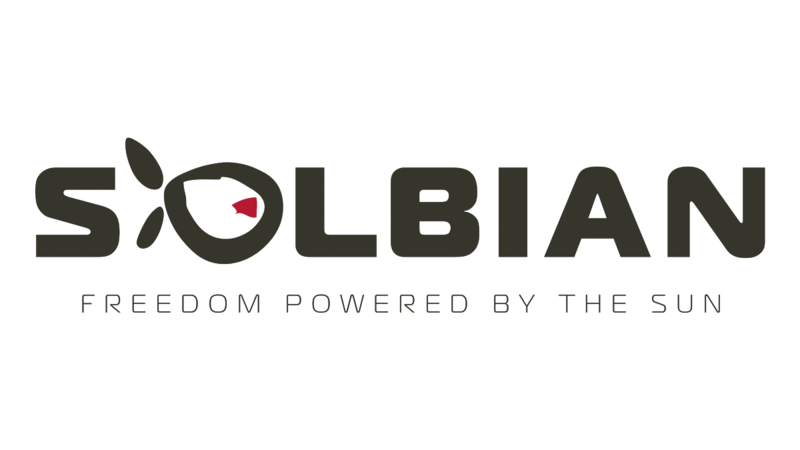 Solbian collaborates on the 3Ccar project (integrated Component for Complexity Control in affordable electrified cars), a large project funded by the European Community involving universities, research centers and, among others, the biggest European players in the electronics industry for automotive. Solbian’s task is still to supply solar energy and to collaborate in the development of its electronics. HySolarkit starts its activities for Phase 1 of Horizon 2020 SME Instrument, in which has been included after a meticolous selection. Main partners of this stage are eProInn, which is the primary promoter, Actua e LandiRenzo, with the advice of CiaoTech (PNO Group). Solbian extends to collaboration with solar (and car) car teams, gaining experience in creating customized solutions for use on these vehicles, where lightness and efficiency are capital requirements. eProInn S.R.l., spin-off projects of the University Of Salerno, is founded; its main purpose is to promote the development and the industrialization oh HySolarKit Project. The research activity of the Thor Project begins, financed by the Piedmont region according to the ROP ERDF 2007/2013. Solbian collaborates with other Italian companies (mainly in Piedmont) to study and build a small plug-in electric car, equipped with integrated photovoltaic modules in the bodywork. During the 30 months of the project some working prototypes are realized and it shows the possibility of traveling more than 25 km a day only from solar power. 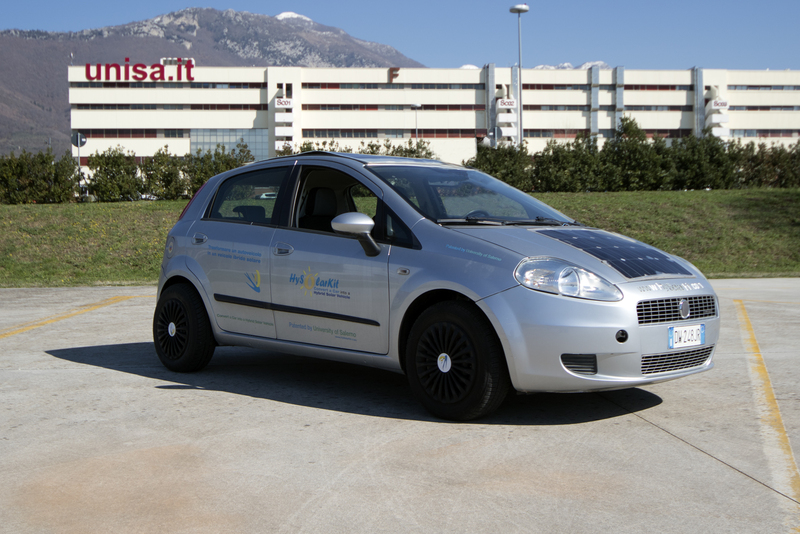 Flexible solar cells are fixed on the bonnet and on the roof of the FIAT Punto Prototype. HySolarKit awarded with a Mention for its environment safeguard contribution in the 6 edition of the Best Practice Award for Innovation, organized by Confindustria Salerno. Solbian and Onda Solare start collaborating to create Emilia III, the new solar car that will participate the following year at the Australian World Solar Challenge in the most competitive class, the “Challenger“. At the same time Solbian also collaborates with the Sunswift project of the University of New South Wales (Asutralia). Sunwift will present eVe, a less extreme solar car conceived as a sedan will compete in the “Cruiser” class, capable of transporting more people and the shape that resembles a road car. Publication of the Paper by M.Sorrentino, G.Rizzo, I.Arsie “Analysis of a rule-based control strategy for on-board energy management of series hybrid vehicles”. Publication of the paper by “M. Sorrentino, G. Rizzo, F. Vasca – “An energetic comparison for hybrid vehicles raging from low to high degree of hybridization” in: Proceedings of ICE2011 Conference, September 12-15, 201, Capri, Italy SAE International. Publication of the paper by “G. Rizzo, M. Sorrentino, C. Speltino, I. Arsie, G. Fiengo, F. Vasca, Converting Conventional Cars in Mild Hybrid Solar Vehicles, In: Preprints of the 18th IFAC World Congress, August 28 – September 2,2011, Milano, Italy, Edited by: S. Bittanti, A. Cenedese, S. Zampieri”. PCT International Certification Granted for HySolarkit Project Patent. Solbian Alternative Energies is born, to bring to the industrial level the experience of the skipper Giovanni Soldini and of the physicist Marco Bianucci in the use of solar energy on racing sailboats. Objective: to bring energy wherever there is need.